Seattle City Light plans to issue a request for proposals in May for a contractor to build a $3.3 million community center microgrid for the city’s parks and recreation department. The publicly owned utility will seek an engineering, procurement and construction company to install the microgrid at the Miller Community Center, which is operated by Seattle Parks and Recreation. Construction is slated to begin early next year with deployment expected in 2020. The project is in keeping with Seattle’s mission as part of the 100 Resilient Cities network. The microgrid will keep power flowing to the community center in the event of an outage, as well as provide environmental and economic benefits to the community. Using solar-plus-storage technology, the microgrid will produce no carbon emissions and save the parks and recreation department about $4,000 a year on electricity costs and about $70,000 over the microgrid’s 14-year life , according to Seattle Mayor Jenny Durkan. Seattle City Light will invest $1.8 million in the project, with the remainder provided by a $1.5 million Clean Energy Fund matching grant from the Washington Department of Commerce. The utility will own and operate the microgrid. “Protecting our environment and lowering operating costs of our facilities makes good economic sense and is an important step as we move towards becoming a green economy,” Durkan said. Together, the utility and parks and recreation selected the Miller Community Center as the site for the microgrid after a broad-based assessment of prospects. Safety and community benefits, feasibility, scheduling, budget considerations and the potential to maximize solar power production and minimize emissions figured prominently in the decision-making process. This is the utility’s first microgrid project. “City Light has a desire to gain technical knowledge and understand the benefits of microgrid technology while providing resiliency to a community,” project manager Bianca Smith told Microgrid Knowledge. Seattle City Light will test and analyze the microgrid with an eye towards identifying opportunities to improve its effectiveness and identify new applications of the technology. The energy and power capacity of the community center microgrid, along with other technical specifications, are yet to be determined but will be included in the RFP, Smith added. Seattle joins a growing roster of cities and municipalities that are pursuing urban microgrid projects to resolve environmental issues and enhance electric reliability, among them Atlantic City, Boston, New York and Pittsburgh. 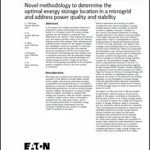 Track news about urban microgrids. Follow us on Twitter @MicrogridNews.